The vineyard-lined Moselle River valley provides a uniquely inviting setting for an especially enjoyable bicycle tour. Trace some 310 kilometers of the river's meandering bends and curves while learning about its rich and varied history. Test whether the light and fruity Moselle wines live up to their reputation, and stroll (or roll) through the ancient narrow lanes and splendid avenues of the river's charming villages and historic cities. To properly live, breathe and experience history - that is the goal of the "Iron Curtain Trail". From the Barents Sea to the Black Sea, this guide takes you along the Western border of the former Warsaw Pact countries, all the way across Europe. The route does not just connect European culture, history and sustainable tourism but it also provides historically-interested cyclists with some spectacularly beautiful and varied landscapes and unique habitats that were able to emerge in the former border strip, which is today the European Green Belt. To experience history in the truest sense of the word - that is the target of the Iron Curtain Trail. From the Barents Sea to the Black Sea it follows the tracks of the Cold War through Europe. Thereby the route does not only combine European culture, history and sustainable tourism but rather guides the cyclist interested in history through diverse landscapes and the unique biotopes of the European Green Belt which could develop in the death strip. This first book documents the 3, 500 kilometre long northern section of the route from the Norwegian Kirkenes to the German-Polish border by Swinemünde. You will thereby cycle from the impressive vastness of Norway and Finland over the diversified Baltic and the appealing Polish Baltic coast to the Baltic island of Usedom. Taking you through a tangible part of European history - that is the goal of the Iron Curtain Trail. It winds its way through vestiges of the cold war across Europe, from the Barents Sea to the Black Sea. The route not only connects European culture, history and sustainable tourism, but guides the interested cyclist through a diversity of landscapes and the unique biotopes of the European Green Belt that were able to establish themselves in the no man's land between East and West. 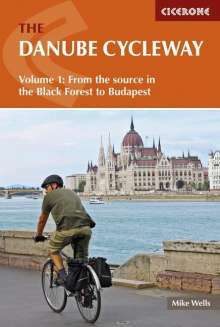 This third volume documents the southern section of the Trail, from the German-Czech border at Hof to the Bulgarian-Turkish border by the Black Sea at Carevo, about 3300 km away. The route takes the cyclist over the heights of the Bohemian Forest, past Moravia and the Slovak capital Bratislava and on to cross the Danube River at Vienna. Along the southern border of Hungary the route goes through Slovenia and Croatia and then mostly follows the Danube River between Romania and Serbia before reaching Bulgaria. The last part of the route then follows the Bulgarian borders with the former Yugoslav Republic of Macedonia, Greece and Turkey, before ending at the Bulgarian Black Sea coast. For many years Lake Garda has been considered Europe's number 1 mountain biking place. For the first time, this roadbook also presents route suggestions for the south eastern Lake Garda region - the area around Garda, Prada and Torri del Benaco. Monte Baldo's southern foothills offer countless hidden lanes and trails of all kinds just waiting to be discovered. 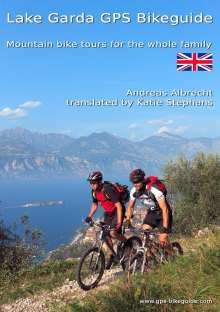 In this book the renowned transalper Andreas Albrecht shares over 50 of his best tours in his favourite biking area. The route descriptions make you want to climb on your bike and ride them, especially as the risk of loosing your way has been removed - GPS data is provided for every tour. Cycling was a sport so important in Italy that it marked a generation, sparked fears of civil war, changed the way Italian was spoken, led to legal reform and even prompted the Pope himself to praise a cyclist, by name, from his balcony in St Peter's in Rome. It was a sport so popular that it created the geography of Italy in the minds of her citizens, and some have said that it was cycling, not political change, that united Italy. "Pedalare! Pedalare!" 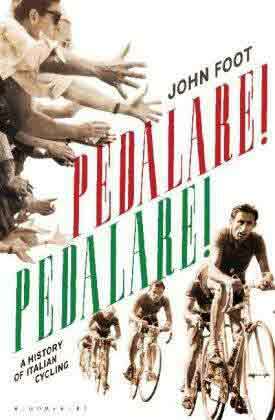 is the first complete history of Italian cycling to be published in English. The book moves chronologically from the first Giro d'Italia (Italy's equivalent of the Tour de France) in 1909 to the present day. The tragedies and triumphs of great riders such as Fausto Coppi and Gino Bartali appear alongside stories of the support riders, snow-bound mountains and the first and only woman to ride the whole Giro. Cycling's relationship with Italian history, politics and culture is always up front, with reference to fascism, the cold war and the effect of two world wars. The sport is explored alongside changes in Italian society as a whole, from the poor peasants who took up cycling in the early, pioneering period, to the slick, professional sport of today. Scandals and controversy appear throughout the book as constant features of the connection between fans, journalists and cycling. Concluding with an examination of doping, which has helped to destroy what was at one time the most popular sport of all, "Pedalare, Pedalare" is an engrossing history of a national passion.